Just getting around Queensland and dropped into Noosa Heads for a bit of a swim and wander around. 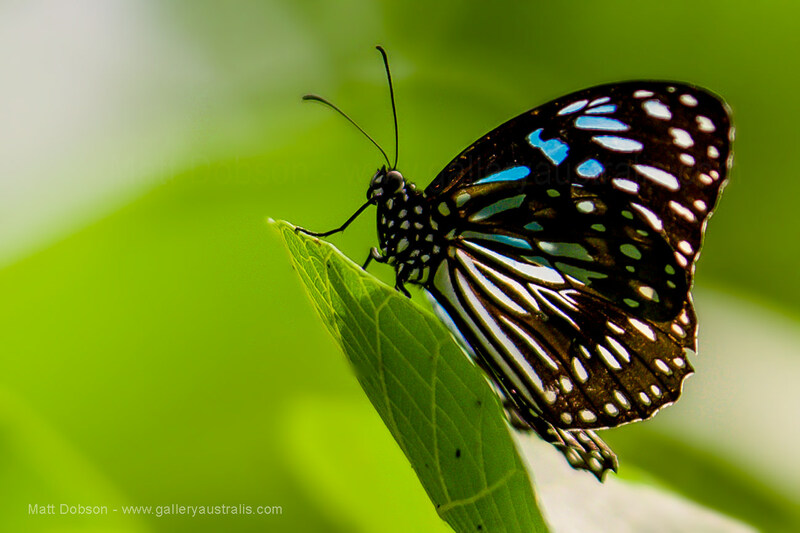 Of course, we brought the camera and took a few snaps, including a photo of this Blue Tiger Butterfly sitting on a leaf. I don’t know if they’re here in plague proportions but theres quite a few around.